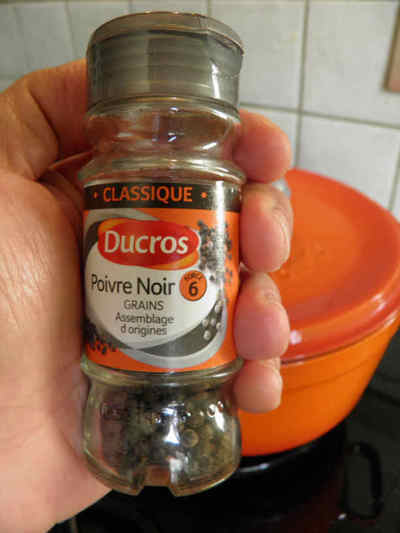 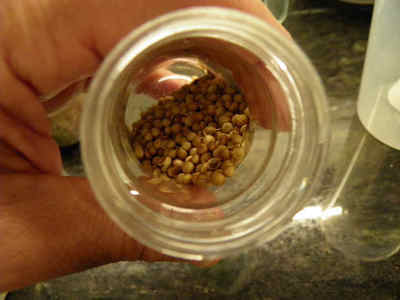 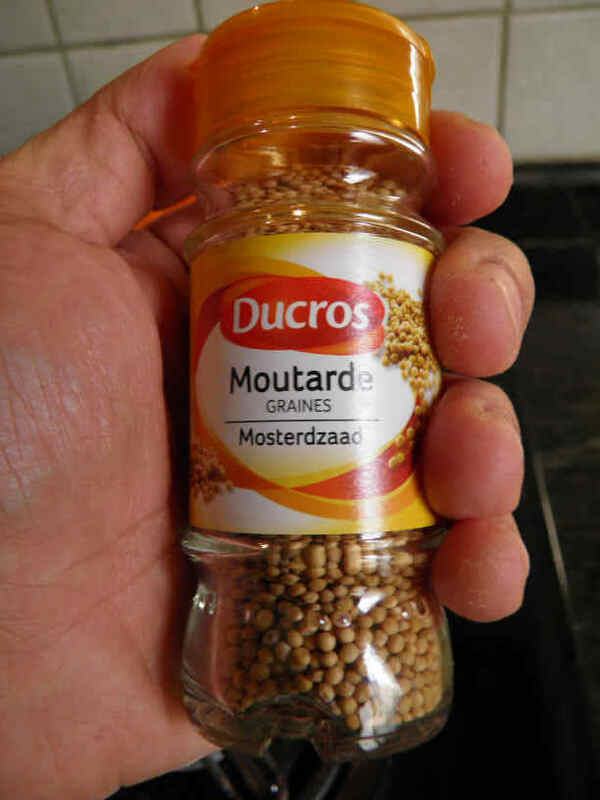 A little black pepper grains, coriander and mustard seeds (1/2 tea spoon of each). 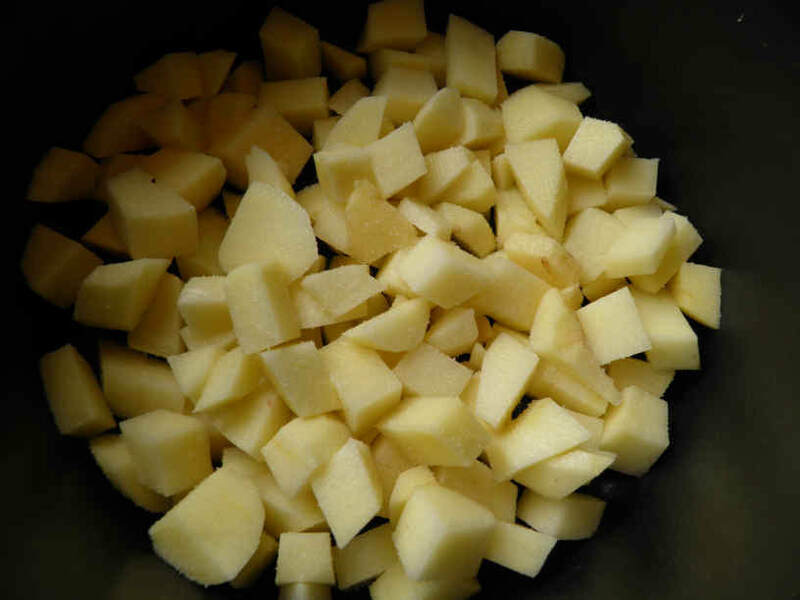 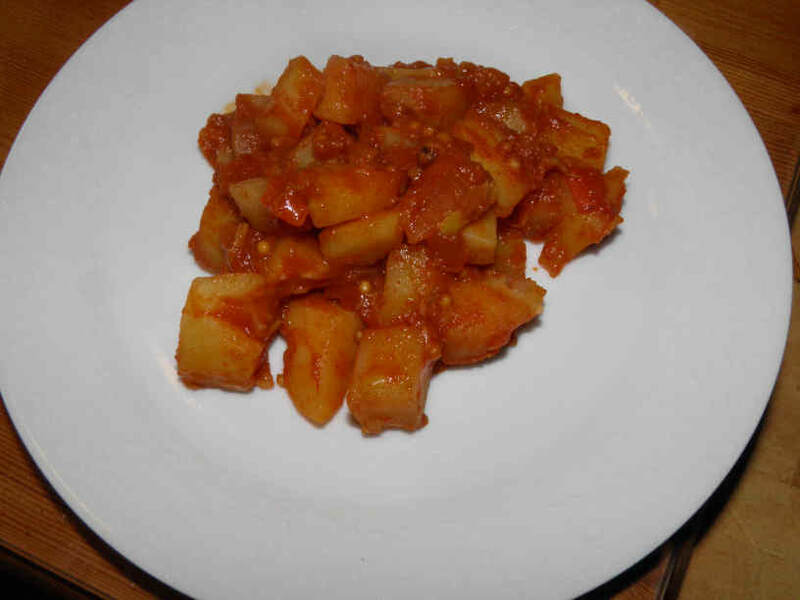 Wash, peel and cut the potatoes into dices. 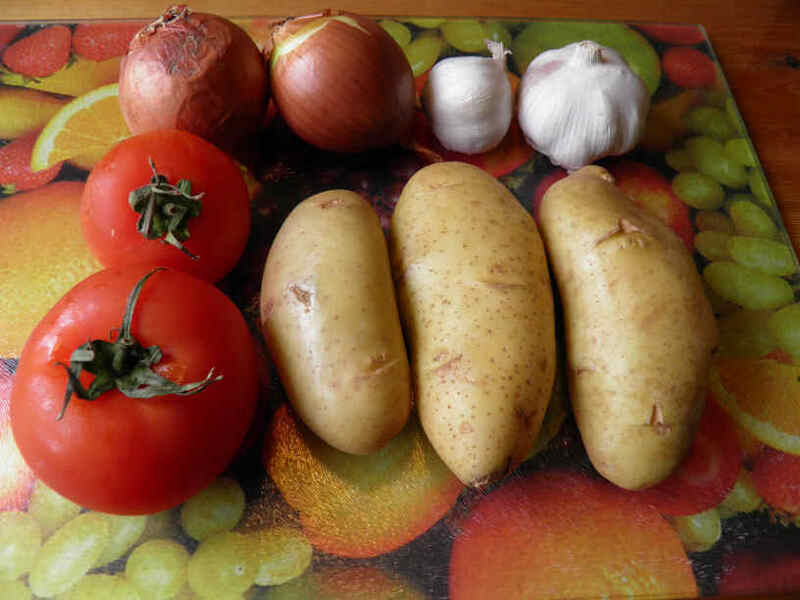 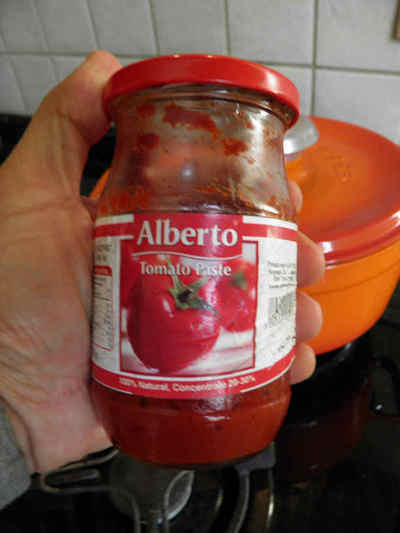 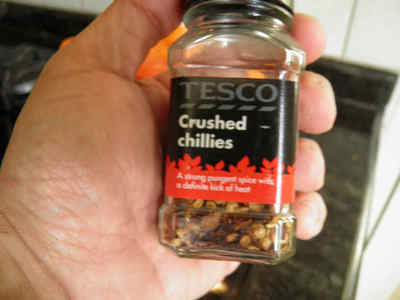 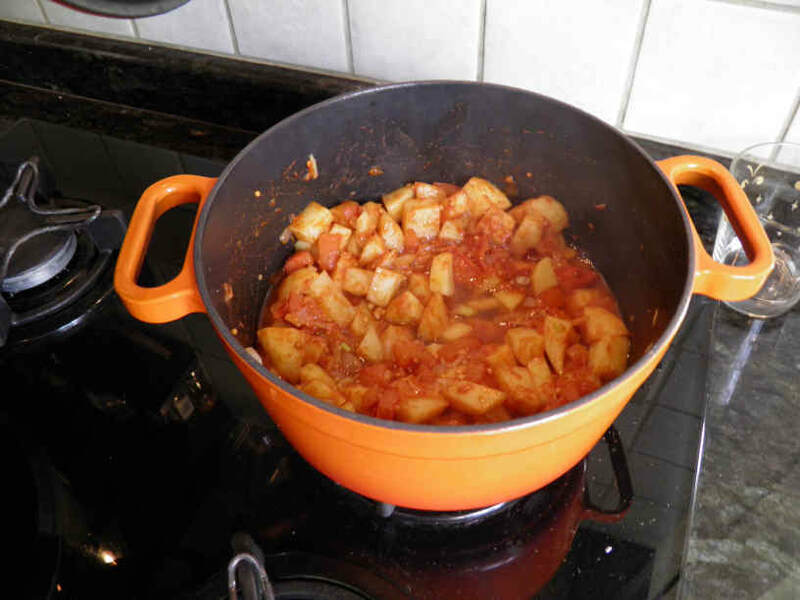 Cut also the tomatoes and onions into dices and combine all in a thick cooking pot. Add salt and a little water (no more than 1/3 of a glass) then put the pot on medium heat and cover. 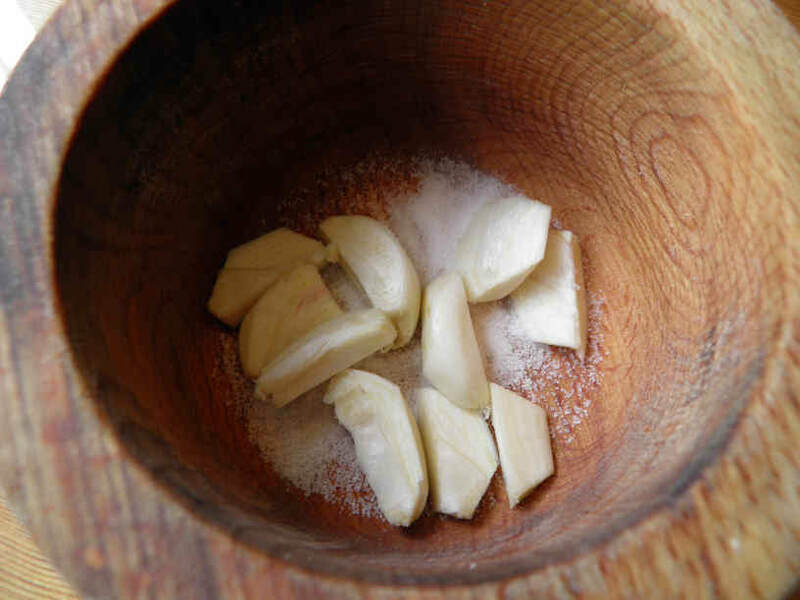 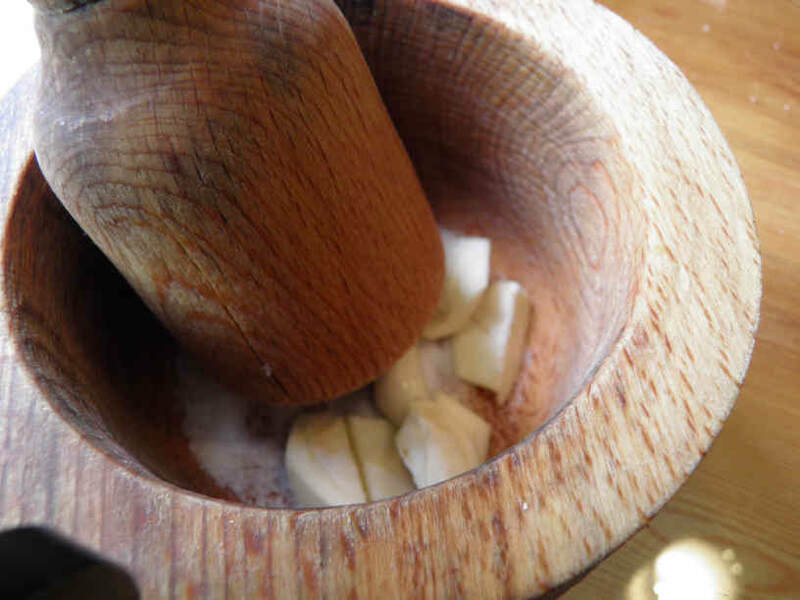 Put some salt in the garlic crusher, crush the garlic and add it to the mix. 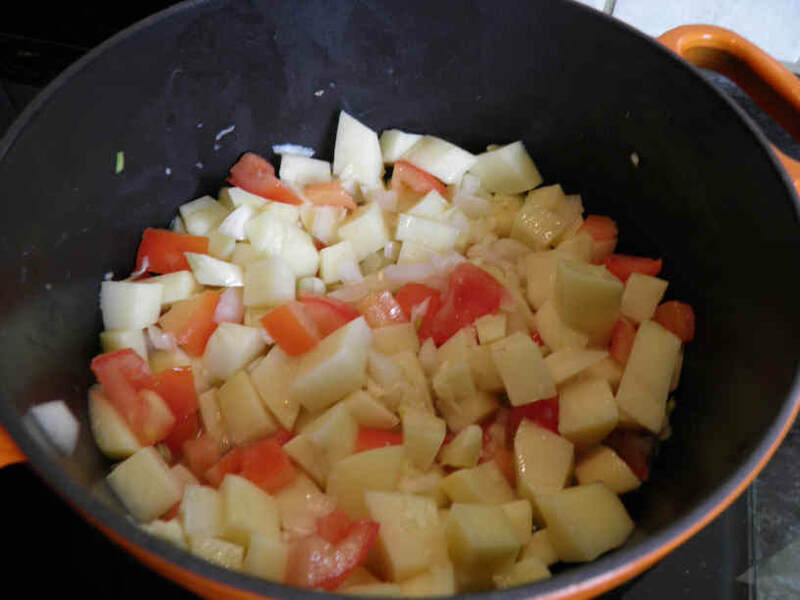 Lower the heat to the max and cook until the potatoes are soft. 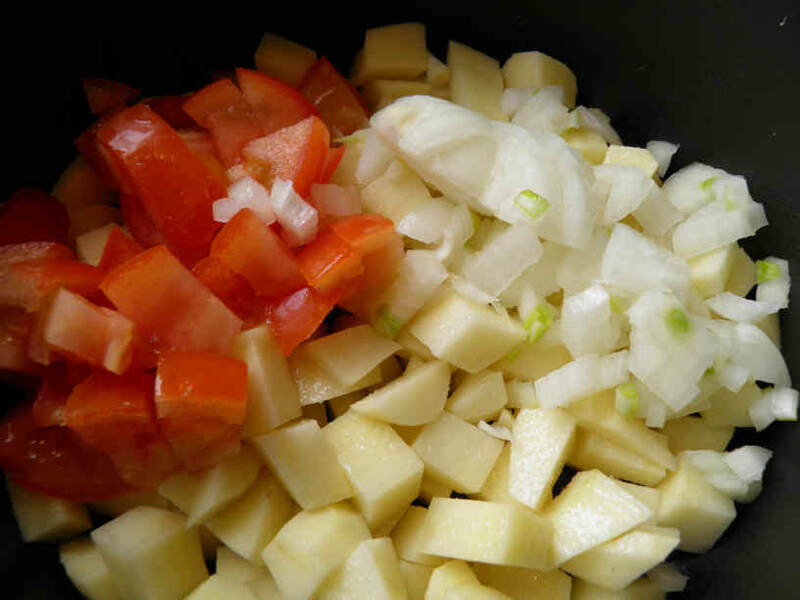 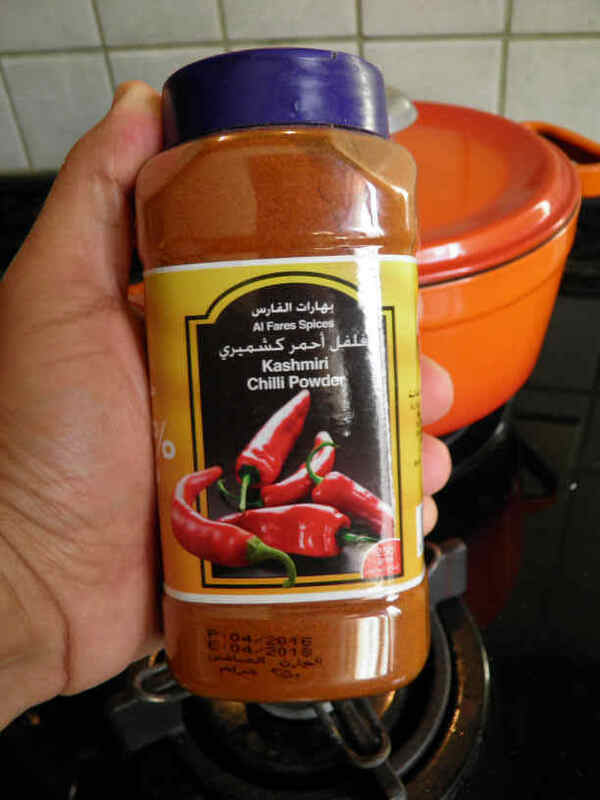 Serve as a starter or side dish and in small quantity in both cases.